Michelle Rodriguez (R) and guest attend a special event hosted by Paramount Pictures' Jim Gianopulos with stars from the studio's films on Saturday, November 11th at The Tower Bar in West Hollywood, California. 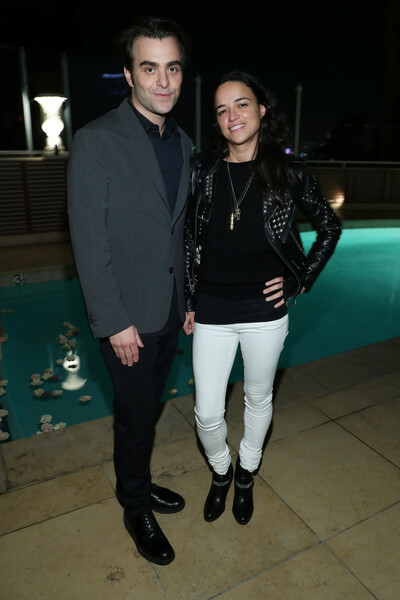 Michelle Rodriguez rounded out her edgy look with black moto boots. Michelle Rodriguez teamed white skinny pants with a black top and a studded leather jacket for a special event hosted by Paramount Pictures.